From Partition to Trump’s ‘ban’ on Muslims, Asghar addresses a range of issues. When I first read it, I wanted to rip out the pages from Fatimah Asghar’s book of poems If They Come for Us and circulate them all around. The table format of the poem From, for instance, asks the very question immigrants have learned to expect: “Where Are You From?" (There exists a “wrong answer" and a “wrong accent", we’re told.) Asghar addresses it in English, Urdu, Hindi, and Punjabi. Non-English words are sprinkled throughout the collection and the author leaves these untranslated. One of seven poems titled Partition is written as the word game, Mad Lib. Microaggression Bingo, formatted as a Bingo card, features everything from “Casting call to audition for Terrorist #7" to “Editor recommends you add more white people to your story to be more relatable". Map Home is a crossword puzzle with clues. And I wanted to tear this triad of pages too—to find some answers, fill in the blank spaces. I realized as I read that separating these pages from the book’s spine would in itself have become an ironic act of partitioning. If several of the poems are interactive, they are also very visual. There’s Script For Child Services: A Floor Plan (written as a floor-plan) and How We Left: Film Treatment (written as a screenplay). At one point I had to hold the book upside down to read. Some sections are written without spaces between words, while in others, the author seems to have long-pressed the space-bar key. The reader gets the sense that this is a carefully constructed collection—working deliberately with form and fragmentation. Asghar is interested in mapping memories (individual and collective); bridging (personal, national, generational, and diasporic) histories and identities; and the bordering of lands and lives. Most of all, perhaps, the Pakistani-Kashmiri-American-Muslim-brown-queer poet is interested in liminality and the multiplicity of identities and sexualities. The story of Partition is told in seven different ways—one historical event, but home to a host of experiences and inheritances. In the first of the “Partition" poems, for instance, she writes: you’re kashmiri until they burn your home...you’re indian until they draw a border through punjab... you’re muslim until you’re not a virgin/ you’re pakistani until they start throwing acid... you’re american until the towers fall. The imagery invokes multiple worlds, identities and histories. Asghar’s creativity is offered alongside a healthy dose of a stridently political consciousness. The historical timeline she traverses is vast: from the British Raj to Trump’s America. The violence of the distant past (Shadi) is voiced alongside that of the recent past (Oil refers to 9/11; For Peshawar refers to the 2014 school attacks in the city); and the present (When The Orders Came is about Trump’s “ban" on Muslims). There is a reason why the original title of Asghar’s book was Today We’re American. Her poems have bodies of their own, but they’re also very much about the body (The Last Summer Of Innocence and Other Body, for instance), and the trauma of Partition embodied. While some bodies come alive, often through sexual awakening, others, the dead ones, are brought to life through these poems. Spectres soak these pages: she writes poignantly, and often, about being orphaned (in White Lies and How’d Your Parents Die Again?). At 30, Asghar has more than a few feathers in her cap already. She is the writer and co-creator of the Emmy-nominated web series Brown Girls. She’s also a nationally touring poet, an educator, performer and TedX speaker. Her chapbook, After (Yes Yes Books), was published in 2015. In 2017, she was featured on Forbes’ “30 under 30" list. She has contributed to the forthcoming The Good Immigrant USA (Dialogue Books, 2019)—a work about the “flood of memory and emotion triggered by an encounter with an Uber driver from Kashmir". She has also co-edited and contributed to Halal If You Hear Me (forthcoming from HayMarket Books in 2019), an anthology that was conceived to “dispel the notion that there is one correct way to be a Muslim". 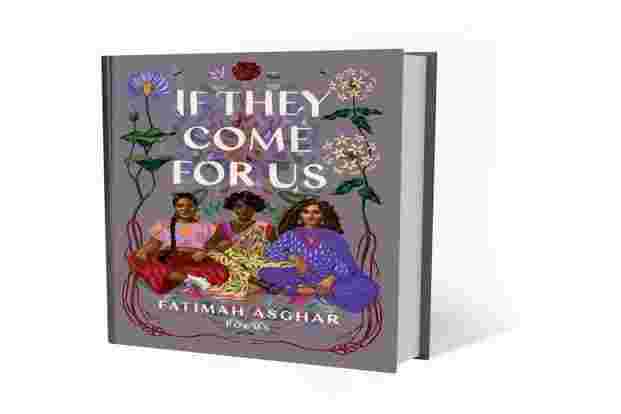 If They Come For Us is a remarkable debut collection, and Asghar’s poetic voice strikes a singular note in several places. Not one of the 44 poems in it feels superfluous. Asghar may unapologetically rip the reader’s heart open, but she also sutures it with the utmost tenderness and care.